Traumatic stress manifests in the body and mind. Yoga and mindfulness practices can be used as a tool to manage stress and facilitate healing. 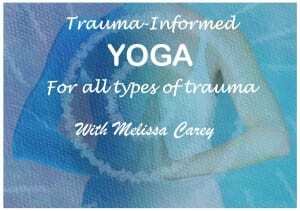 This 8-week yoga series is for survivors of any type of trauma. Benefit from movement of body and breath and connect with others in a safe and supportive setting. No prior experience with yoga or trauma therapy required.